The last four blog posts have all been about organic farming in Cuba. However, organic farming is practiced all around the globe. This blog post will explain the places around the globe where organic farming is practiced and is just as popular as organic farming in Cuba. In a 2012 status report, it states that Wisconsin has seen an increase in organic farming by 157 percent from 2002 to 2007. Globally, 87 million acres were farmed under organic management in 2008, representing almost 1.4 million producers in 154 countries. The 2008 USDA Organic Agriculture Census ranks Wisconsin second in total number of organic farms; The census reports 2,714 organic farms in California, which is the top- ranked state, and 1,222 organic farms in Wisconsin. Wisconsin is ranked in the top five for many categories like organic hogs and pigs, organic vegetables and melons, Wisconsin also leads the nation in the number of organic dairy and beef farms with a total of 479 dairy farms and and 109 beef farms. Wisconsin ranks first in the number of farms raising several organic field crops including barley for grain or seed; corn for grain or seed; corn for silage or greenchop; hay; haylage, other silage and greenchop; oats for grain or seed; rye for grain or seed; and winter wheat for grain or seed. The next area that has an expansion of organic farming is Australia. The earliest history of organic farming in Australia was 1944, says John Paull, who wrote the Journal of Organic Systems. Australia is a leading supplier of sustainable and organic fertilizers, and soil and crop health products. In 1999, there was an increase of popularity of Organic farming and three organic organizations were created: BFA, BDAA and NASAA. BDAA stated that it “trains farmers in Bio-dynamic practices”, and that there are three grades of certification; Grades A and B are produced without “artificial fertilizers or synthetic chemicals”, while for Grade C produce, “a minimum of chemical sprays have been applied.” NASAA stated that it promotes “sustainable agriculture”, and that its “systems exclude or severely restrict the use of synthetic fertilizers and pesticides.” BFA uses the term “regenerative farming” (and neither of “sustainable” nor “organic”), however it states unequivocally that: “Artificial fertilizers, chemically synthesized weedicides, pesticides, fungicides, fumigants and growth promotants are not tolerated” (AQIS 1989). Along with Australia, India also has a prominent organic farming system in place. The Organic Farming Association of India (OFAI) was set up by the seniormost members of India’s organic farming community in the year 2002. The association was primarily set up to promote organic farming, lobby with government agencies and departments to pay more attention to sustainable agriculture, and assist farmers using chemicals and pesticides to convert successfully to organic farming methods. Similar to Cuba it India had to make the switch to organic farming: During the 1950s and 1960s, the ever-increasing population of India, along with several natural calamities, led to a severe food scarcity in the country. As a result, the government was forced to import food grains from foreign countries. To increase food security, the government had to drastically increase food production in India. The Green Revolution (under the leadership of M. S. Swaminathan) became the government’s most important program in the 1960s. 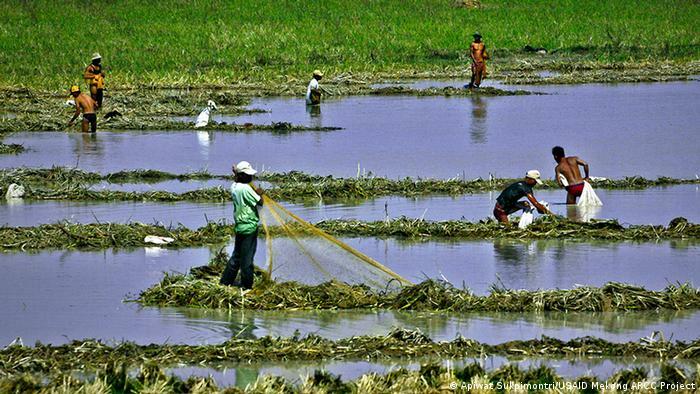 Several hectares of land were brought under cultivation. Hybrid seeds were introduced. Natural and organic fertilizers were replaced by chemical fertilizers and locally made pesticides were replaced by chemical pesticides. Large chemical factories such as the Rashtriya Chemical Fertilizers were established. (Organic Farming in India | Fun Facts). It is interesting to see how many of these counties/places have practiced organic farming for many years and like Cuba needed to make the switch in order to keep their livelihood. AQIS, 1989, The Case for a National Approach to Certification of Organically Grown Products, Australian Quarantine and Inspection Service, Department of Primary Industries and Energy, Canberra, ACT, November. Deller, S. and D. Williams. “Organic Agriculture in Wisconsin by the Numbers.” 2012 Status Report: 2009. http://www.cias.wisc.edu/wp-content/uploads/2012/02/organic-numbers.pdf. “Organisation – Organic Farming Association of India.” Organic Farming Association of India: 2016. http://ofai.org/organisation/. “Organic Farming in India | Fun Facts.” 2016. https://www.organicfacts.net/organic-products/organic-cultivation/organic-farming-in-india.html. In previous blog posts I have focused on issues ailing the Southeast Asian region in the past and present. This concluding post will deviate from its predecessors, instead focusing on the future of this vibrant, yet rapidly changing area. The hurdles and challenges facing the people, governments, NGOs, and international agencies in Southeast Asia are countless. Nearly every aspect of development in this region needs reform in order to veer onto a sustainable path. While I have spent extensive time detailing environmental problems such as dams in the Mekong, fishery collapses, and deforestation, these large scale events are largely unfelt by the average global citizen. Take for example the havoc being wreaked on coral reefs in the region. In the Gulf of Thailand and the Andaman Sea, coral is beginning to bleach and die in response to rising sea temperatures and changing climatic conditions. One local source details, “If the temperature rises to 30.5 [degree Celsius] in the Gulf of Thailand and 28 [degree Celsius] in the Andaman Sea, bleaching is likely to happen,” (Wipatayotin). While the need is clearly urgent, the average person is not directly or immediately felt by the loss of coral reefs and its ecosystem service. How far will it take then to have these environmental disasters felt by and trigger response from the average person? While environmental degradation is not felt significantly now, it is incorrect to say that it is having no impact. In fact, nearly one in four deaths are due to environmental factors like air, water, and soil pollution, with the “most environmentally-linked deaths [happening] in Southeast Asia, which accounted for 3.8 million such deaths in 2012,” (“Deaths in SE Asia”). Southeast Asia, whether it is the cause of degradation or not, is facing the brunt of the consequences. To the average Western consumer sitting at their computer, life continues uninterrupted, but to the individuals living in these regions, the changes they are encountering are only the beginning. Ultimately, a combined effort of NGOs, national governments, international agencies, and local stakeholders are needed to prevent the situation from getting worse. However, if the West fails to realize, assist, and pay for the harm its people and society is having on regions like Southeast Asia through avoidance of climate change accountability, then it is painstakingly up to national governments in Southeast Asia to save their own people. Eventually, Western officials who refuse to acknowledge delivering assistance will be forced to deal with similar problems in a few decades, however by then the damage will be impossible to mitigate. Governments in Southeast Asia have typically been slow and unresponsive to ideas of sustainability and green technology as a source of energy. Natural gas, coal, and oil dominate the market, leaving renewables like solar and wind for small-scale village electrification. In fact, “The region will need more resources for itself as it develops further. Graph detailing the amount by which each sector accounts for in Southeast Asia’s energy consumption. There will be fewer surpluses for export. This is already the case for oil,” (Symon 241). In another instance the paper states, “With urbanization and growing incomes, motor vehicle ownership has risen rapidly. In Manila… the number of cars has doubled every seven years,” (Symon 243). Clearly, as the region grows economically and in terms of population, energy resources are going to be needed in greater demand. With a system in set for more coal, natural gas, and oil imports and production, there is little room or incentive for renewables. This is the time when governments and organizations like ASEAN need to push for sustainable initiatives and energy. If these governments are not capable of establishing a precedent for sustainable energy and independence now, then once resources become strained and populations and economies grow, there will be no room for switching to green technology. Map detailing which regions are vulnerable to climate change, with a greater numerical value equating to more vulnerability. While the outlook for energy independence in this region looks bleak, sustainable ideas and programs are appearing throughout Southeast Asia. As aforementioned in previous posts, tourism has the potential to place power in indigenous people while developing local economies. However, tourism also has the potential to be environmentally destructive, with the industry accounting for 5% of global carbon dioxide emissions through pollution and waste (“UNEP”). When used effectively, countries and local people can make huge economic gains, as described “in the Galapagos Islands and Palau, [where] visitors pay an entry tax to protected areas,” generating over $1.3 billion in Palau annually since 2009 (“UNEP”). The future success of ecotourism is one that requires collaboration with local people, organizations, and governments in order to ensure that the actions committed are in fact sustainable and supporting indigenous groups and conservation. The future of sustainability in Southeast Asia is one that remains contingent on a variety of political stakeholders, two of those being the current global powerhouses China and the United States. With increasing Chinese influence, the United States has begun to intervene and divest leadership in these nations in order to remain sovereign. The idea of whether this is an American ploy to dominate the region is another debate, but one thing is clear, Southeast Asians are going to feel an increasing pressure from outside forces. As one article describes, “Southeast Asian nations are reluctant to choose sides, wary about being wed as pawns in a geopolitical struggle between superpowers,” (Nakamura). The theory has historical basis, with Korea and Vietnam serving as reminders of geopolitical struggles. The only solution is for global independence to be established, whether that be regional security through the ASEAN or security on a national basis, free from global powers. While establishing security, Southeast Asian nations would be in a position to launch and create sustainable agendas such as energy independence and environmental programs. Doing so would enable freedom from the oil and energy market while decreasing the need for reliance and influence from superpowers like China and the United States. While Southeast Asian nations play an interconnected role in the global world as both exporters and importers of goods, the nation’s composing this region are at a crucial fork. An opportunity exists for these nations to become independent, free of influence from larger political entities, generating policies and development projects based on their specific economic, social, and environmental needs. Therefore, the future sustainability of this region is not bleak, but one filled with optimism that local groups, national governments, and international organizations can collaborate to promote independent, sustainable livelihoods, addressing the key issues facing the largest environmental crises of the 21st century. “Environment to Blame for 3.8 Million Deaths in SE Asia since 2012, WHO Finds.” Malay Mail Online. Malay Mail Online, 15 Mar. 2016. Web. 11 Apr. 2016. Nakamura, David. “Obama Welcomes 10 Southeast Asian Leaders to California Summit.” The Washington Post. The Washington Post, 15 Feb. 2016. Web. 11 Apr. 2016. Symon, Andrew. 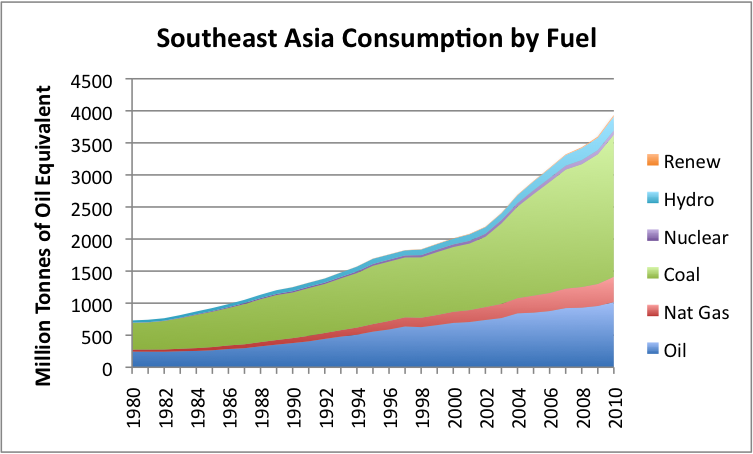 “Fuelling Southeast Asia´s Growth: The Energy Challenge.” ASEAN Economic Bulletin 21.2 (2004): 239-48. JSTOR. Web. 11 Apr. 2016. “Harnessing the Power of One Billion Tourists for a Sustainable Future.” United Nations Environment Programme. United Nations Environment Programme, 5 Nov. 2014. Web. 11 Apr. 2016. Wipatayotin, Apinya. “Andaman Coral Reef Sites May Close.” Bangkok Post. Bangkok Post, 10 Apr. 2016. Web. 11 Apr. 2016.